The £1.5million social housing development marks the first for North Wales Housing in Wrexham, making sure the association lives up to their 'North Wales Housing' name. 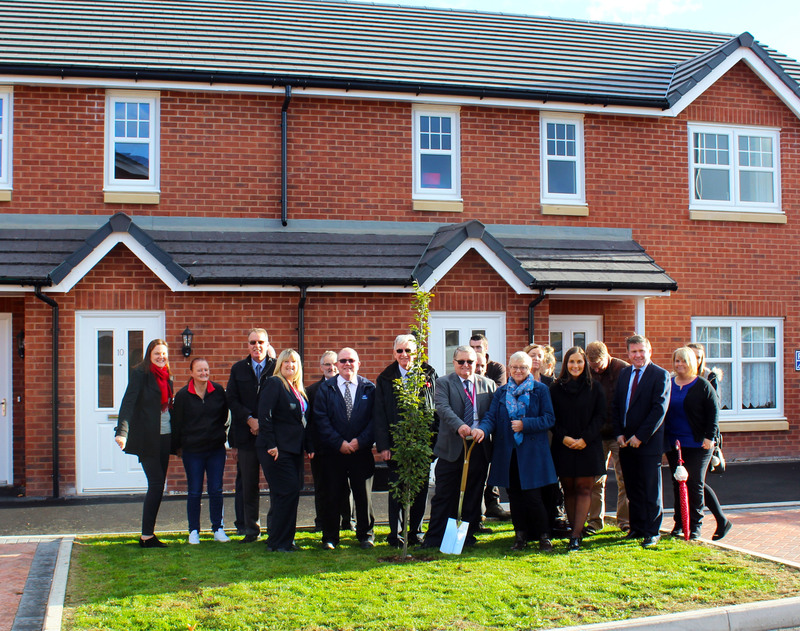 Working closely with Wrexham County Council the truly North Wales based housing association created 12 new affordable rent homes in the Whitegate area of the town on the site of a former car park. An ornamental tree was planted to mark the occasion before meeting residents over afternoon tea. "This is an excellent example of how North Wales Housing is working with its partners to develop new affordable housing in North Wales. By close partnership working with Wrexham Council we have improved the housing prospects of young local families and tackle the wider issue of housing shortage." "We hope that the Tenants will enjoy living on their new estate for years to come, and that they will take every opportunity to contribute to their community." Residents moved in their new homes in July 2016 and have settled in well. "I'm very happy with my new home. I moved here from Llay and I'm been so impressed with the quality of the new house. It's very spacious, there's solar panels which have already saved me money on heating bills, everything is clean and modern and easy to use and there's plenty of storage space. I'm only a few minutes walk from the town centre now too so it's ideal for me." Local Member for Whitegate, Cllr Brian Cameron, said, "This is a very positive development for housing in the area. I'm also very pleased that two of the one-bed ground floor flats have been built with adaptions for residents with specific needs. The council's partnership with North Wales Housing has worked very well here and, as a result, we've been able to create these very desirable properties which I'm sure the new residents will be very pleased with." Lead Member for Housing, Cllr Ian Roberts, said, "We've made fantastic progress with the development of affordable housing in Wrexham recently, thanks to a number of schemes which are now underway across the County Borough. I'm delighted that these modern, attractive homes have now been completed in Clos Owen and it's great to see that the partnership between the Council and North Wales Housing has had such positive results here." Media contact: Sian Parry, Communications and Marketing Manager. Sian.Parry@nwha.org.uk 01492 563263 or 07721260392. 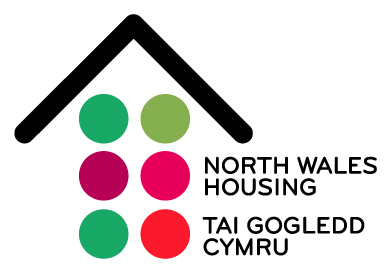 Founded in 1974, North Wales Housing is a successful social enterprise providing homes and delivering services to over 2,500 households across North Wales. We employ up to 250 people and are proud to display the Investors in People Silver accreditation. As well as maintaining existing homes we are also continually building new homes and bringing empty homes back to life. We are also a regional market leader in vital areas such as Supported Housing, providing housing and services for vulnerable people. In 2011 we launched a commercial subsidiary Domus Cambria, a residential development enterprise that ethically develops and builds homes and services.